Was Stevens and the other three Americans killed because of what they knew and expressed concern about? Is that why the White House deliberately had officials providing false information to the public over the attack directly following it, which the latest Benghazi bombshell recently revealed? 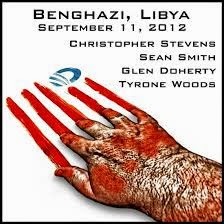 Is this also why the military was told to stand down and were not allowed to go in to save Ambassador Stevens and the others?